"Since the dawn of the sound era, an estimated 25,000 feature-length films have been produced—and that’s in the English language alone. When, in the early 1960s, an international group of film critics were polled as to their “number-one film of all time,” Citizen Kane was in first position. The repetition of this poll in the early 1970s and once again in 1982 produced the same result: Citizen Kane was a solid first each time. Even more important than the opinion of critics is the opinion of audiences. They too, decade after decade, have ranked Citizen Kane as their favorite film. For what truly sets Kane apart from every other film commonly called a “masterpiece” is that it’s also an enormous amount of fun. 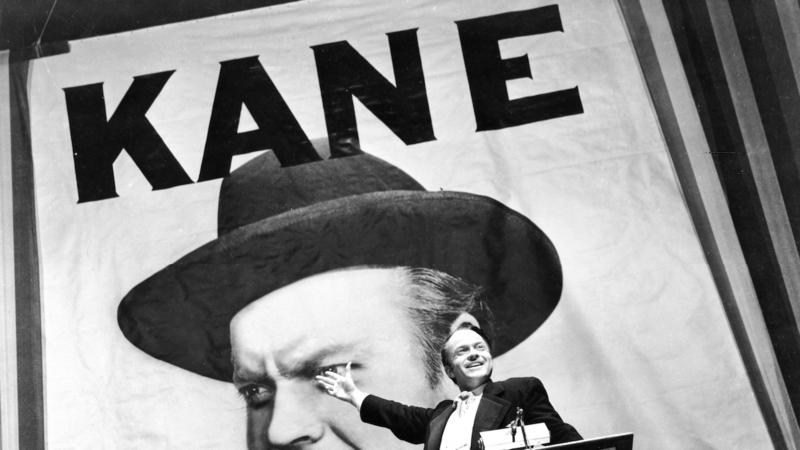 "As for the social relevance of Citizen Kane, it—like the film’s art—is there when needed but always subjugated to the film as grand entertainment. At the time of Kane’s release, social commentators (particularly on the Left) felt the film failed to inveigh sufficiently against the abuse of wealth and power by such as Kane/Hearst. Instead, it tells the audience what it already believes: money doesn’t buy happiness. While the absence of a desire to transform human consciousness may bother some, for most of us Kane-as-Daddy Warbucks, lonely despite vast riches, is a far more engaging character than the malefactor of great wealth some would have him be. Due to the Halloween Parade in Manhattan, tickets to the 5:20pm showtime on Wed Oct 31 will only be available at our box office, not online.